COLORADO SPRINGS, Colo. — USA Triathlon today announced a new Gold-Level partnership with Quintana Roo and Litespeed, who will serve as the Exclusive Bike Partners for the National Governing Body through 2016. American Bicycle Group (ABG), the parent company of Quintana Roo and Litespeed, will provide USA Triathlon annual members with an exclusive discount that includes a cash rebate and free hat or shirt with the purchase of Quintana Roo or Litespeed bicycles sold at TriSports.com – USA Triathlon’s official merchandiser – and other designated distribution outlets, retailers and bike shops. Two Quintana Roo frames will also be awarded through a special promotion at the USA Triathlon Age Group National Championships for each year of the agreement. Additionally, ABG will support elite athletes in the Olympic pipeline as the Official Bike Partner of the USA Triathlon National Team Program leading up to the 2016 Olympic Games in Rio de Janeiro, Brazil. Select USA Triathlon high performance teams, including up-and-coming athletes in the Elite Triathlon Academy (ETA) and Collegiate Recruitment Program (CRP), will be supported through this official partnership. About American Bicycle Group American Bicycle Group, owners of Quintana Roo and Litespeed, produces high-performance bicycles that enable athletes to gain an advantage. 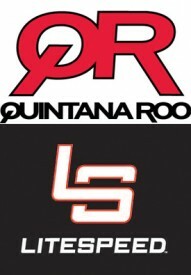 Litespeed and Quintana Roo are global lifestyle and race brands. As a leader in titanium and composite technology worldwide, Litespeed continues a heritage of unparalleled technology coupled with unique, wind-tunnel tested designs. Quintana Roo invented both the triathlon-specific bicycle and wetsuit. The same creative juices leading to the innovative fit and features that first made triathletes go faster are flowing still today. For more information go to americanbicyclegroup.com.